The 40,000 crowding Berkshire Hathaway’s AGM didn’t come to hear buzzwords like “artificial intelligence.” Machine-driven investing, though, is eating into the Oracle’s competitive advantage. But for now, he has other differentiators – like zero fees, and a grasp of human nature. Warren Buffett, CEO of Berkshire Hathaway Inc, talks to a reporter in the exhibit hall at the company's annual meeting in Omaha, Nebraska, U.S., May 5, 2018. 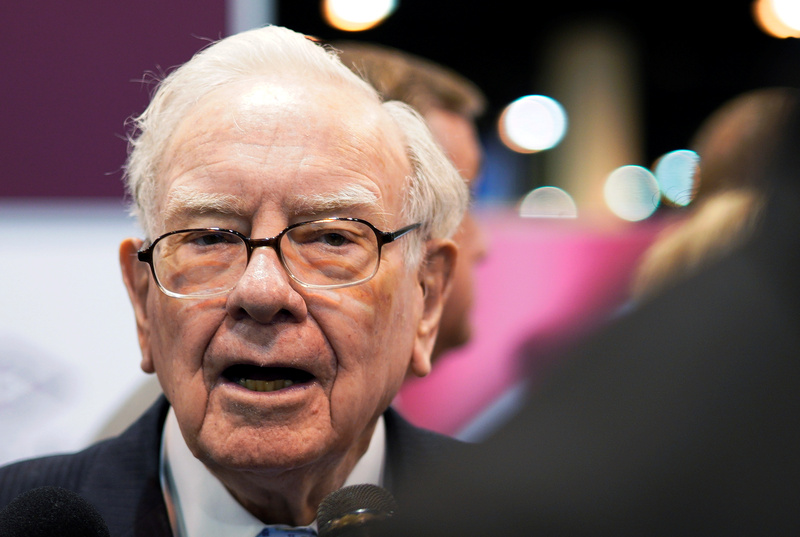 Berkshire Hathaway’s annual meeting for shareholders took place in Omaha, Nebraska, on May 5. The meeting brought together around 40,000 investors and their guests. Hathaway reported a $1.1 billion loss for the three months ending March 31, including a $8 billion pre-tax loss for the falling value of some of its equity investments. Earnings from its operating businesses rose 50 percent to $5.3 billion.